It seems more and more products are touting retinol and tretinoin. But is this right for you? Not everyone benefits from using these, and some patients actually have adverse reactions to them. Let’s look at what retinols and tretinoin are and whether you should use a product that contains either of these. Simply stated, retinol and tretinoin (both retinoids) are forms of vitamin A that can prompt significant improvement in the health and beauty of the skin by repairing and preventing damage. Both can help promote faster skin cell turnover and reverse signs of skin aging. 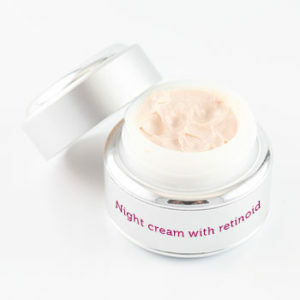 Retinol is over-the-counter and often added to other skin care products. Tretinoin is a stronger prescription version that works faster and more effectively for both anti-aging and acne. Both retinol and tretinoin fight the formation of new wrinkles and soften existing lines. This process occurs because retinoids help cells repair themselves and stimulate collagen production. Although retinoids can’t change genetically large pores, they can improve large pore size in some cases by unclogging the pores. By keeping pores clearer, they eventually begin to shrink, giving you a more even skin tone. The same is true for acne-prone skin. By preventing dead skin from clogging pores, retinoids can help you fight acne. Some people cannot tolerate retinoids, especially those who have super-sensitive skin. And, even if you can use a retinoid, over usage can cause dryness or irritation. Even among patients who successfully use retinoids, one of the most common complaints I hear is that the medications make their skin more sensitive to sunlight, and that leads to faster sunburns. Also, pregnant patients should not use any of these products. Another negative is that retinoids take time. They are not an overnight fix, but rather may take months of consistent use for them to be effective. For quicker fixes, we recommend other, in-office treatments, such as microdermabrasion, chemical peels, Hydrafacial, and microneedling with or without PRP.